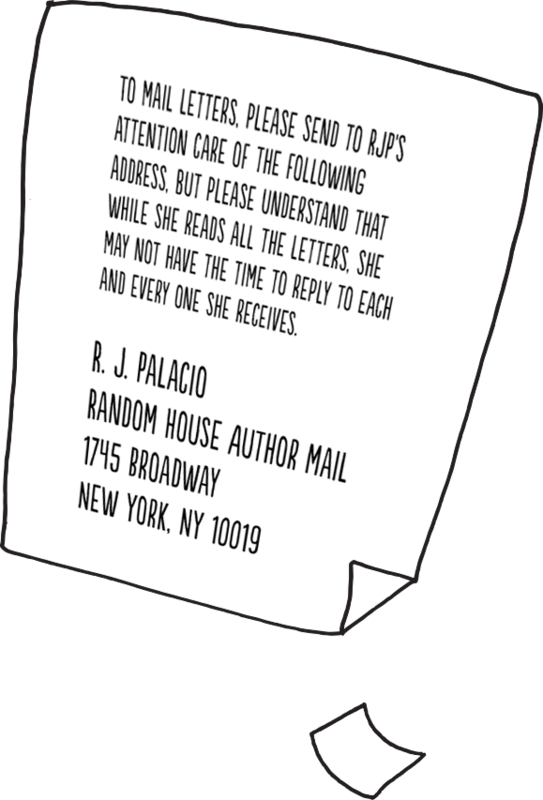 R. J. Palacio lives in Brooklyn, NY with her husband, two sons and two dogs (Bear and Beau). Her debut novel, Wonder, has been on the New York Times bestseller list since March, 2012, and has sold over 5 million copies worldwide. The book’s message of kindness has inspired the Choose Kind movement, and has been embraced by readers, young and old, around the world. 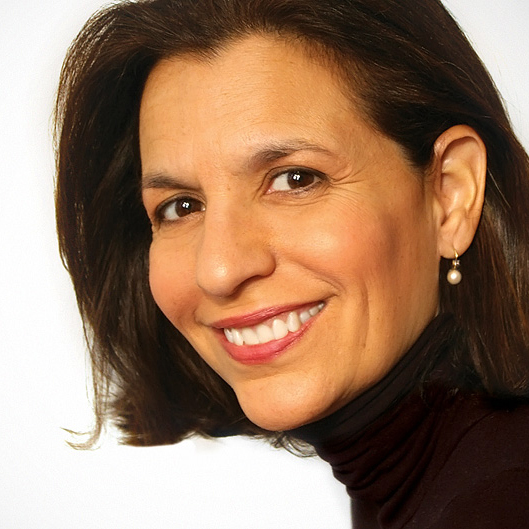 A first generation American (her parents were Colombian immigrants), Palacio was born on July 13, 1963 in New York City. Her birth name is Raquel Jaramillo (Palacio was her mother's maiden name). Palacio attended The High School of Art & Design in Manhattan, and then majored in illustration at the Parsons School of Design. She spent her junior year at The American University in Paris, where she traveled extensively before returning to NYC with an eye toward making her career in illustration. Her early works appeared in The Village Voice and The New York Times Book Review, which eventually segued into her storied career as the art director of several major book publishing companies. She designed thousands of book covers for countless writers in every genre of fiction and non-fiction, including Paul Auster, Thomas Pynchon, Salman Rushdie, Louise Ehrdrich, Sue Grafton, and John Fowles (among many others). In addition to designing book covers, Palacio illustrated several of her own children’s books that were published under her birth name, including Peter Pan: The Original Tale of Neverland; Ride Baby Ride; Look Baby Look; The Night Before Christmas; The Handiest Things in the world; and Last Summer. Palacio also invented a baby toy called The Bobo Glove, a portable, wearable, washable activity toy for infants. 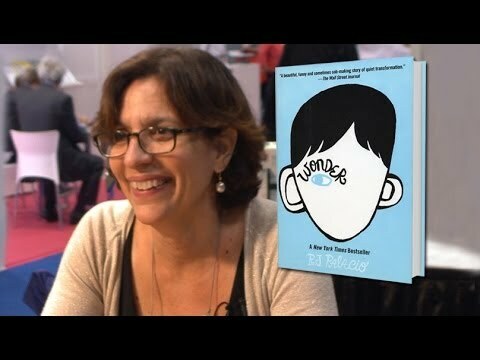 Since its publication on February 14th, 2012, Wonder has become a favorite of teachers and educators all over the country. It has been published in 45 countries, and has sold over 5 million copies worldwide. In addition to Wonder, Palacio has published 365 Days of Wonder: Mr. Browne's Book of Precepts (August, 2014), and Auggie & Me, ( October 2015), which includes print editions of the original e-book novelas: The Julian Chapter, Pluto, and Shingaling. 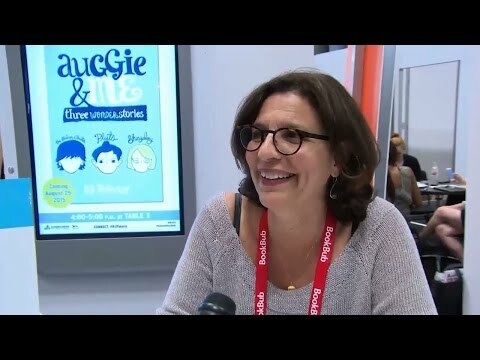 Palacio's newest work, a picture book called We're All Wonders, which she both wrote and illustrated, introduces Auggie—and the themes of kindness and empathy and tolerance—to younger children. We're All Wonders comes out March, 2017. A movie based on Wonder, starring Jacob Tremblay as Auggie Pullman, Julia Roberts and Owen Wilson, comes out November 17th, 2017. What inspired the story in Wonder? I was with my two sons one day in front of an ice cream store, and we found ourselves in close proximity to a child with a severe facial difference. My younger son started to cry because he was scared, and I was nervous that his tears might hurt the child's feelings, so I left the scene very quickly and rather abruptly. I realized afterward that I had handled the situation terribly. What I wished I had done was to turn that encounter into a teaching moment for my kids. I wished I had stopped to talk to the child, and shown my own kids there was nothing to be afraid of. It made me wonder what it must be like for that child, facing a world every day that doesn't know how to face you back. 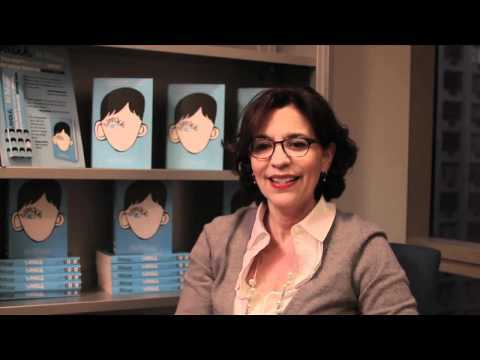 Why is the book called WONDER? Natalie Merchant has an amazing song called Wonder, and the joyfulness and optimism of that song—not to mention the theme of being born "different"—really helped me shape my vision of the book. 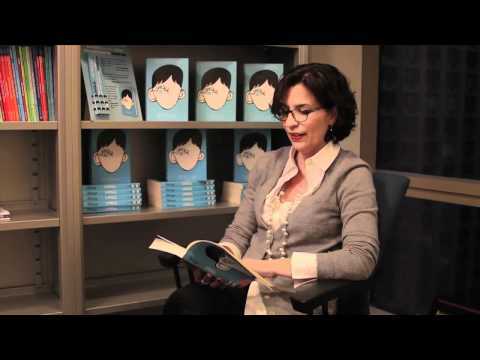 Since you were a book cover designer before becoming an author, did you design the cover for WONDER? I didn't design the cover, but I did suggest the name of the illustrator, Tad Carpenter, to the very-talented art director at Knopf. I wanted a very iconic cover, and I knew Tad could deliver something bold and graphic. I had thought he would go with the theme of the astronaut helmet, but it was actually the Knopf art director who suggested the face, and then Tad did various versions of it. Although sometimes it can be very hard to get a lot of different people to agree on what book cover to use, this was one time when we were all in agreement about the final cover. Everyone—my agent, my editor, me, the designers, the sales people, the marketing folks—agreed on this cover. We knew we had a winner the moment we saw it. That's actually kind of rare in book publishing. How long did it take you to write WONDER? It took me about a year and a half to write WONDER. The only time of day that I could find to write, since I had a full-time job and two young children to keep me busy during the day, was in the middle of the night, so I got into this routine where I would wake up at midnight and write til 3am. I did that every night until I finished the first draft of the book. Where did you get the idea for the name August? How did you choose the names of the other characters? One of the most fun things about writing a book is that you get to use all the names you've always loved. I used my favorite two names in the world on my two sons, Caleb and Joseph, but if I had a third, I think I might have called him August. I love the name Olivia and Miranda. Justin. Julian. Jack. Isabel. These are just names I love. And it’s true, sometimes I would sneak in names of people around me. My son’s best friend is named Nate, so I put a Nate in there. You know, there’s no science to it. You start writing a character, and a name just kind of pops into your head. Is anyone in WONDER based on a true person? Most of the characters are based on mashups of people I know or people I knew when I was growing up. I knew two little brothers named Jack and Will once. I don’t think Jack Will is based on them at all, really, because I didn’t know them well, but he was based on my perception of them. Same for a little girl named Summer I knew once, who was the sweetest kid you could imagine. I wish I could say I was most like Summer when I was young, but that wouldn’t be true. I try to be more like her every day, though. The character most like the person I am now is Isabel, the mom. My kids would probably say that she’s much more patient than I am, which is probably true, but our mothering styles are pretty similar. It’s a latin way of mothering: lots of kissing and cuddling and a bit overprotective. I was a lot like Via when I was fifteen. I didn’t have to deal with any of the things Via had to deal with, in terms of growing up with a brother with special needs of any kind, but I remember what it was like to feel like an outsider, for reasons that were likely mostly in my head and not even real. I spent a lot of time reading (I read War and Peace when I was fifteen), and I was a bit serious for my age, like Via. But I think the character I was most like as a little girl is Charlotte. I think a lot of kids can relate to Charlotte. She’s a nice girl—never became one of the kids who was mean to Auggie, always waved hello and was friendly—but she also never went out of her way to be a true friend to Auggie. She’d say hi from a distance, but never sat down with him. She’d help Jack behind the scenes, but she’d never openly side with him. Charlotte’s a good girl, but she’s never quite brave enough to act on her good instincts. That kind of bravery sometimes doesn’t come until you’re older, and sometimes doesn’t come at all. She represents the difference between simply being nice, and choosing to be kind, which is a main theme of the book. She’s the classic bystander, though I think by the end of the book she’s become aware of this. Her precept shows this. I think in the sixth grade, she’ll be an upstander, not a bystander. Hmm, that’s a tough question. I have a couple of different favorites. But I suppose it would be the scene that takes place in the woods. After the bullies are so horrible to Auggie and Jack, and they, along with Amos, Miles, and Henry escape through the cornfields, they take a moment to rest. In that moment, Jack thanks the other boys for saving them, and he high fives them. Auggie wants to thank them, too, and he lifts his hand in the air to give a high five, even though he has no idea if anyone will high five him back, given that these were the same boys that had avoided getting near him for months. That Auggie could find the courage to raise his hand for the high five—not knowing if it would be reciprocated—is such an extraordinary act of courage to me. And when the boys do reciprocate it, and show him, for the first time in that entire school year, some genuine kindness and sympathy, well, that moment moves me. And when he wept those same boys comforted him. How was Auggie so brave, even with his facial difference? Auggie's just living his life. He can't change the way he looks, so he could either choose to hide from people his whole life, or face them directly, head on, and hope for the best. That's all any of us can do with what we've got, right? Whatever we look like, whatever we have, we just need to accept it and move on. And hope the world is kind. Is there any theme/message that you wanted to give to your readers? I hope that kids will come away with the idea that they are noticed: their actions are noted. Maybe not immediately or directly or even in a way that seems obvious, but if they’re mean, someone suffers. If they’re kind, someone benefits. And the choice is theirs: whether to be noticed for being kind or for being mean. They get to choose who they want to be in this world. And it’s not their friends and not their parents who make those choices: it’s them.I also hope parents are gently reminded of the enormous influence they have over their children at that age, and that it’s okay to interfere in their kids’ lives. Their kids may act like they’re not listening, act like they’re big and know all the answers, but they’re still listening. You’ve still got them. Use the time and remind them about the things that are essential. Remind them to be kind to their old friends. Remind them to be polite, to write those thank you notes, to go out of their way to help their friends, to connect to the kids who are struggling socially or academically. I’ve heard parents say it’s hard to ask their kids to reach out or stand up against bullies because of social repercussions, but that’s all nonsense. It’s never okay to not to the right thing. Why did you go into different points of view? Did you know you were going to do that all along? I didn’t know I was going to go into multiple points of view at the beginning of the book. I thought I would stay with Auggie for the whole story. But then I started getting very curious about Via and what she was going through in her life, and I wanted to get behind the motivation behind Summer’s bravely sitting down with Auggie at lunchtime, or Jack’s betrayal, and I knew that to do that, to really explore Auggie’s complete story, I would have to leave his head for a while. Auggie’s a smart kid, and he notices a lot of things, but he doesn’t ever really know the full extent of the impact he has on people. And I didn’t want to make him one of the precocious kids who somehow knows things he isn’t supposed to know: I find those types of characters largely unbelievable, and I wanted Auggie to always be believable to me. So I decided to go into multiple perspectives. One of my all-time favorite books, As I Lay Dying by William Faulkner, does this, and that book has always stayed with me. Of course it’s risky to go into different perspectives because a) I’m know I’m no William Faulkner, and b) it’s easy for the story to become unwieldy and get away from you. Characters can sometimes hijack a story. It can be hard to get all the players to feel like they’re part of the same world. When I made up my mind to go into multiple points of view, I decided to lay down three ground rules for myself. One: all the characters would have to propel the narrative forward in a linear way. While there could be some flashbacks, the plot would move forward with each point of view. It was like a relay race, and each character gets the baton and passes it forward. The baton is the story. Two: all the characters would have to enhance Auggie’s storyline. That is to say, they could tell their own story—but only as it intersects or weaves in and out of Auggie’s story. Three: all the characters whose voices we hear have grown or changed from knowing Auggie. As they get to know him, they all enhance his storyline as he enhances theirs. Why don’t the mom or dad ever have their own chapters in WONDER? I purposely left out the parents’ point of views because it would have changed the focus of the book from child-driven to something else, something darker and somewhat more cynical. This is something I didn’t want. It was my choice to end the book on a happy note in Auggie’s life, a time when he feels triumphant and well-loved. But we know that life won’t always be so kind to him, and the adults in the book know that, too. It’s one of the reasons I think adults reading the book get so emotional when reading it—far more emotional than children. But life comes one day at a time, and it’s the prerogative of an author to tell whatever story they choose to tell, and to end it where they want. Isabel and Nate have their own story to tell, but I didn’t want to include it here. They are only seen through the eyes of children in the book, and are thus somewhat idealized by them. The children only see in their parents what their parents let them see—less so in Nate but very much so in Isabel. She’s very guarded about what she lets her kids see of her. She doesn’t want Auggie to see the fear in her eyes as she lets him—in fact pushes him—to go to school for the first time. She doesn’t let Auggie see how hurt and angry she gets by the faces others make when they see her son, or the mean things she overhears them saying. She only lets him see the side of her that will help him be strong and happy, but the other side of her, the one that’s afraid for her son, of what the future holds for him, is only seen by her husband and her closest friends. So the Isabel we see in the book is purely through the eyes of her children. We can imagine that she might be a very different person if we met her for dinner after a couple of margaritas: she would be more candid, more angry, more sad, more tired than she ever appears in the eyes of her children. I certainly never knew all the stuff my mother was going through at the more difficult times in her life, or what she was feeling. She shielded me from things, from her own feelings about things. Isabel does the same with her kids. Who's your favorite WONDER character? That's like asking a Mom to pick her favorite kid! I can't answer! I love them all! Tell us one things that nobody knows about WONDER. I gave August the last name of one of my favorite children's book authors, Philip Pullman. Will there be a sequel to WONDER? I’m flattered that so many kids ask me this, and offer me their beautiful and brilliant suggestions for what Auggie could be doing in the sixth grade, and in high school, and as an adult. And I’m sure my publisher would love a sequel ;) But I don’t think this is the kind of book that warrants a sequel. Some books are like that. I chose to end the book on a happy note in Auggie’s life, and I hope and pray for his well-being and happiness forever. Like his mom in the book, I have to believe that the world will be kind to Auggie and those like him. I have to believe that people will open their hearts to him. And maybe reading the book makes people think about the possibility of this happening. I wanted to tell Auggie’s story to make readers wonder about who they are and who they can choose to be. My hope is that after reading the book, they will always choose to be kind. Having said that, I do plan on exploring a few other characters who appear in WONDER and publishing them as short companion books—more like extraneous chapters. They interweave with WONDER, but they’re not sequels. One is about Julian. That’s called THE JULIAN CHAPTER. The next will be PLUTO, which from Christopher’s point of view. Christopher is Auggie’s friend who moves away when they're both around seven, so there will be a lot of stuff in that book about Auggie when he was younger. Christopher has a very unique perspective on Auggie, and he was there the day Nate brought Daisy home. And the third short WONDER book will be called SHINGALING. It's from Charlotte Cody's point of view, and will tell about the friendship that forms between Summer and Charlotte in the months following the events of Wonder. Will there be a movie? If so, when is it coming out? I sure hope so. The book has been optioned by Todd Lieberman and David Hoberman of Mandeville Pictures, and is slated to be produced by Lionsgate, the same folks who produced The Hunger Games and Twilight and so many other wonderful movies. I believe right now they’re getting their screenplay in order and have hired the amazing John Krokidas to direct. I've met with him a couple of times and I know he really has a feel for how the book can be turned into a movie. I'm keenly aware that changes have to be made to make it a more cinematic experience, and I really trust that John is the right person to do that. I think what we're all hoping for is to end up with a tender little movie with lots of heart. What’s one lesson you’ve learned since becoming an author? There's an old saying that God could not be everywhere so he created mothers. I think the saying should be amended to "God could not be everywhere so he created mothers, and mothers could not be everywhere so God made teachers." I've always been awed by teachers, but in the last two years, traveling around schools across the country, I'm newly amazed by the work they do. All hail teachers, librarians, and educators: the real wonders of the world! I would sum it up with another precept I wrote down when I was a teenager. It was from The Agony and the Ecstasy: “The most perfect guide is nature. Continue without fail to draw something every day.” Substitute the word “write” for the word “draw,” and that would be my advice. Just write. Don’t wait for the perfect moment: there’s usually no such thing. Also, don’t think about writing a book. That can be a little daunting—even just the saying aloud: “I’m writing a book.” Instead, just think in terms of writing a page in a book. That’s all. A page or two every time you sit down to write. Before you know it, you’ve got yourself a chapter. Then a couple of chapters. And you’re on your way to writing a book. You’ve traveled around the country talking to schools and students. Can you tell us one of your favorite fan memories? That's a tough question. I've been very lucky in having spent time with so many WONDER fans by now. I've had countless kids come up to me and tell me how reading the book has made them want to be kinder. I never get tired of hearing that. I've met grandparents who tell me how much the book has moved them. One 92-year old woman who shared her own story of being bullied when she was a young girl. But I think the most moving experiences I've had were the ones involving children who deal with the same issues Auggie deals with: children with craniofacial differences or other issues that cause them to be stared at, treated differently, sometimes bullied. I've spent time with their moms and dads. That community has really embraced the book, and me, as well, which is so kind of them. Tell us about the type of fan mail you receive? The majority are from children who've read the book and tell me how much they love it, what character they're most like, or they share a story with me about how reading the book made them reach out to another child in their class whom they had previously avoided for whatever reasons. I get a lot of mail from teachers and educators who've read the book aloud to their students, and they all tell me the book has provoked the most amazing and honest discussions they've ever had with their kids. I get a lot of fan mail from parents who've read the book with their kids, or were told to read the book by their kids. I love hearing about the multi-generational reads. Do you answer all your fan mail? I wish I could! I read everything, but it’s been really overwhelming (in a great way!) If I were to respond to these amazing letters, I wouldn’t have the time to do anything else. You receive mail and letters from fans of all kinds, and in particular – from children who have facial differences, and parents of those kids. What is that like for you? It's humbling for me to realize that my book has had a real world impact on the lives of these children. They have a champion in Auggie, someone who's given voice to their feelings, and who other children with faces that don't get stared at like and embrace as one of their own. Humbled is the only word I can think of for how that makes me feel. And grateful, too. I'm grateful that the book has had that kind of effect on people, that it's made their lives even one iota easier. Why did you decide to write 365 DAYS OF WONDER: MR BROWNE'S BOOK OF PRECEPTS? When I was a thirteen or fourteen years old, I started collecting sayings and precepts. I’m not even sure why or how, but I remember liking them, thinking they were cool. “Fortune favors the bold” was a favorite. As for Mr. Browne: I had a wonderful English teacher named Mr. Browne in high school, and though he never taught us precepts, he’s the kind of teacher who would have. He was very tall and had a blond beard. The Mr. Browne in the book is my nod to Mr. Browne in my high school. I hope he’s reading this. Anyway, the premise of the book is that Mr. Browne has decided to compile all the precepts he's collected over the years, and turn them into a book. So some of the precepts are those from his own readings that he's jotted down over the years, and some are handwritten postcards from his students over the years. Interspersed throughout the book, at the beginning of every month, Mr. Browne writes an essay that either ties into one of the precepts, or is simply one of his life observations. He's a pretty wise and sweet man, and he has a lot of common sense things to say about parenting, teaching, and kids. Inside those essays, he talks about some of his students, so we hear about Summer and Jack. Auggie writes him a letter, for instance. Charlotte Cody interviews him for the school newspaper. And yes, he has a wonderful email exchange with Julian that truly sheds some light on his character. We also hear from Amos, a minor character inWONDER who actually solves a small mystery: how exactly DID Mr. Tushman know about the mean notes Julian was leaving in Auggie's locker? How did you select the precepts that appear in the book? Kids, via their teachers and sometimes on their own, as well as adults, have been sending me precepts since WONDER first came out. 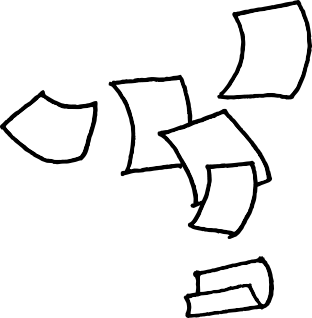 To be truthful, back then I never anticipated receiving fan mail of any kind, so I wasn't as organized as I could have been about sorting through the precepts. So when I decided to do 365 DAYS OF WONDER: MR.BROWNE'S BOOK OF PRECEPTS, I wanted to be really efficient about being able to credit the kids who contributed precepts, which is why I decided to have a Twitter contest. I invited people to send me their precepts on postcards. The contest only lasted two weeks, and I received over 1200 submissions. I'm still receiving them, actually, though the contest closed off a long time ago. I used about 75 kid entries in the book, and the rest were collected by me. I used to keep a scrapbook of precepts years ago and I found a bunch of them inside that scrapbook! How did you narrow down the selections? It was hard because there were so many great ideas. The first thing I noticed, though, is that many of the precepts were variations on the same theme. For instance, "do unto others as you would want others to do unto you" was a common thread in a lot of precepts, so in that case I used the one I liked best. My family would help me sort through all the precepts as they came in. We had three piles. One pile were the rejects, and those were pretty obvious to us right away, either because they were too illegibly written or because they simply didn't make sense, or even if they were wonderful platitudes, like "always be nice" that simply didn't have enough profundity to carry a page in the book. The second pile were the maybes, and this was the biggest pile. The third pile were the ones that absolutely jumped out at us for their originality, or joyfulness, or wisdom. There were about 30-40 of those that were so obvious to us. Are there any precepts that especially stand out to you in 365 DAYS OF WONDER: MR BROWNE'S BOOK OF PRECEPTS? You didn't include Julian’s point of view at all in WONDER, and yet you’ve just published an e-book from his perspective. What drove your decision to give Julian a voice? Can you tell us about this e-original? I always knew that Julian had a story to tell, but it simply didn't belong in WONDER, which is Auggie's story from beginning to end. To have included it in WONDER would have significantly changed the story arc of WONDER, which is why he didn't appear as his own chapter. Having said that, I knew Julian as a multi-dimensional character with flaws and attributes, and I wanted to explore that. An e-book short was the perfect venue. Without giving too much away, Julian doesn’t turn out to be the villain we thought he was. It was interesting to discover reasons for the things he did that didn’t exactly justify his behavior, but certainly explained it a little. I knew that Julian’s motivation wasn’t hatred, but fear. And he wasn’t getting the right guidance to work his way through his fear. It’s his grandmother who finally gets through to Julian and makes him begin to empathize with Auggie. But she does it in an indirect way by telling her own story. If you could meet Auggie in person, what do you think you would say or talk about? Breakfast. I could eat breakfast for lunch and dinner everyday. Eggs. Toast. Cereal. Pancakes. Bananas. Done. Potato chips. I don't have a sweet tooth at all. Too many to choose just one! Growing up, though, I remember really loving D'Aulaire's Book of Greek Mythology passionately. Then Edith Hamilton's Mythology. I still have my dog-eared much-read copy from when I was in the 5th grade. As well as my mother's copy of The Little Prince, which she used to read to me. As I grew older, I really got into Tolkein. Then in high school I definitely became a more voracious and diverse reader. Joyce. Tolstoy. Calvino. Borges. I remember loving those huge epics by James Michener and James Clavell. And if you were to ask me who my favorites are now, I'd say a few books off the top of my head have always been near and dear to my heart: Brideshead Revisited; Howard's End; Les Miserables; Eva Moves the Furniture; The Land of Spices; One Hundred Years of Solitude; The Road. I'm very lucky: I've been able to travel a lot in my life. The Valley of the Kings in Egypt was one of my favorite places. I love the desert. I loved Nordkapp, which felt literally like I was on the edge of the world. And I was enchanted by St. Basil's Church in the Red Square in Moscow. There isn't a place in Greece that isn't magical, either. I was lucky enough to live in Paris for a year many years ago, so it will always be like a second home to me. And then, of course, there's Montauk, where I go almost every summer with my family. But I have to say that my favorite place in the world is where I live right now: in Brooklyn, NY, with my husband and two beautiful sons. Who designed this amazing site? so unbelievably appreciative of all of you! If you are interested in scheduling an appearance, please contact the Penguin Random House Speakers Bureau at www.prhspeakers.com.Please note that we are not scheduling any non-NYC school appearances at this time.